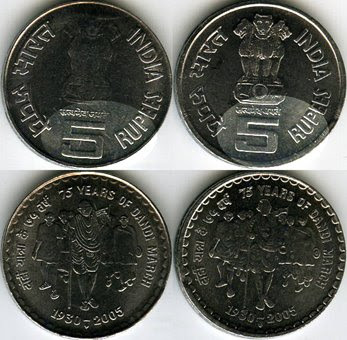 Bank of Russia announced that these new coins will start circulating in october. 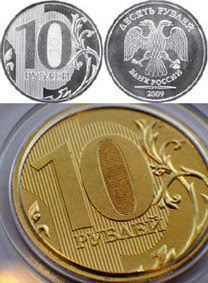 10 roubles banknotes will be displaced from circulation. 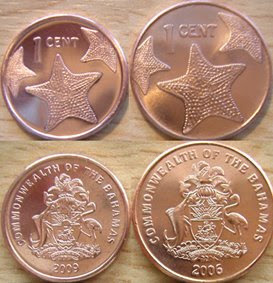 There's a law that imposes that the stars in the coins must be alone, with no letters, numbers or shadows. 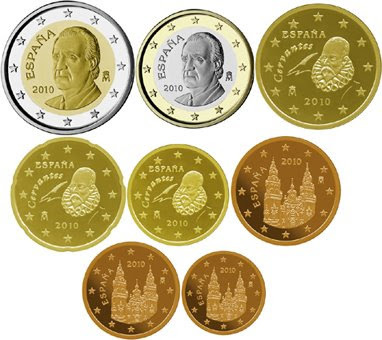 Due to this, the Spanish coins will have a new design and will be new KM types. "Ancient Russian Towns: Veliky Novgorod"
The king's portrait has changed, so, all the items are new KM types. 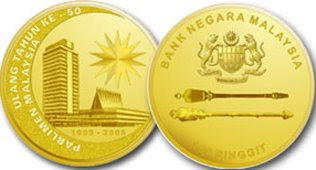 Also the 1, 5 and 10 satang little aluminium coins exist with the new portrait. They are almost impossible to get in the streets due to their low value. "History of Polish Light Music: Czeslaw Niemen"
"Centenary of the first flight by a powered aircraft over Slovenia"
"Centenary of the Banco Nacional de Panama 1904-2004"
"75 years of Dandi March"
Both steel items are from the Bombay mint, but the obverse inscription and ashoka are remarkably different in size. 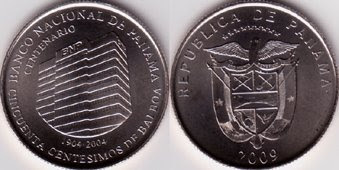 Only 500,000 coins of both denominations have been minted. 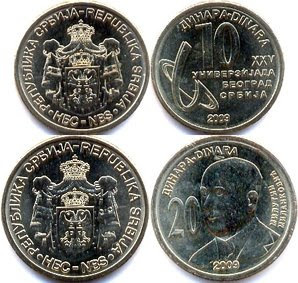 The 10 dinar coin features the motifs of the 25th summer Universiade to be held in July 2009 in Belgrade, while the 20 dinar coin features the portrait of Milutin Milankovic, the renowned world geophysicist, engineer, climatologist and astronomer, and was minted to honour the 130th anniversary of his birth. 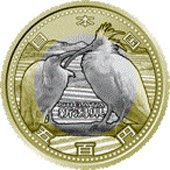 This coin shows a pair of Japanese crested ibises and a rice terrace. 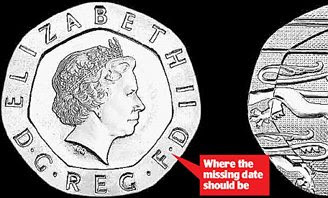 A rare error at the Royal Mint means that tens of thousands of the coins produced earlier this year don't have 2009 stamped on them. 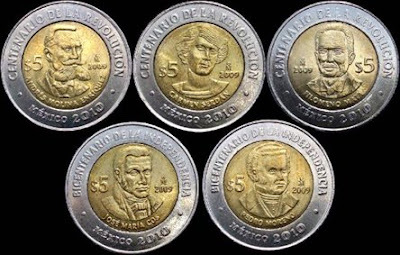 Coin experts say the lack of a date makes them worth £50 each, and potentially much more in future.